Now in its 8th year, the show returns to the Novello Theatre on Sunday 29th October, with two shows at 7.00pm and 9.30pm. 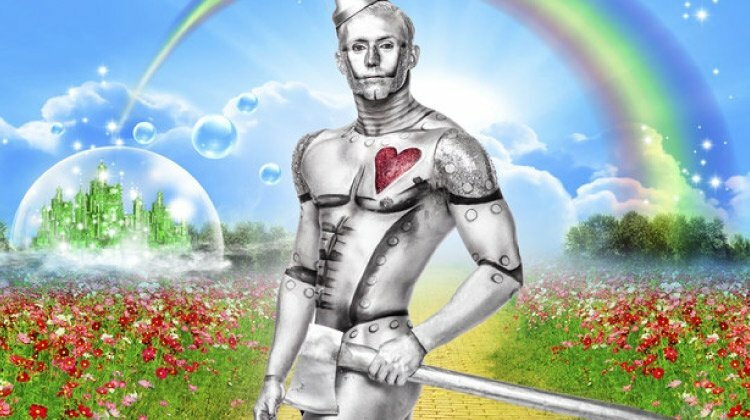 This year’s show is called West End Bares: Ruby Slippers, taking the Wizard of Oz and sexing it up as you have never seen it before! Over 100 performers from the West End stage, plus a host of celebrity guests, will take to the stage for one night only. The show stars Olivier Award winner Rebecca Trehearn (Showboat, City of Angels, Ghost), as Dorothy. She will kick off the night with a brand new song written especially for the show by Mark Anderson (The Book Of Mormon, Legally Blonde) and Luke di Somma (21 Chump Street). Other cast include Katrina Dix (Charlie and the Chocolate Factory) as the Wicked Witch, and Edward Chitticks (Hairspray) as Tin Man. The show will be directed by David Grewcock, with choreography by Racky Plews (American Idiot), Ashley Nottingham (Thoroughly Modern Millie), Will Lucas (Cats, Wicked), Joanna Goodwin (Chitty Chitty Bang Bang, Sunset Boulevard), Aaron Renfree (X Factor), Simone Mistry-Palmer (Motown The Musical), Jaye Elster (Singin’ In The Rain, Half A Sixpence), Ashley Jordan-Packer (Cats, Thriller Live), Fletcher Dobinson (Cats, West Side Story), Chris Whittaker (Judy! ), and James Wilson (Strictly Come Dancing, The Voice). Last year’s bash – Excalibre – was a big hit, presented by Graham Norton. Host and performers appearing in this years show will be announced later in the summer. Inspired by director and choreographer Jerry Mitchell’s Broadway Bares in New York, West End Bares is run by MAD – the Make a Difference Trust, a UK charity that sees the theatre industry raise money for HIV and AIDS projects that build awareness and provide care, support and education in the UK and Sub-Saharan Africa. The show combines naughty burlesque with the razzle dazzle of the West End and promises over 100 of the hottest male and female dancers from London theatre and beyond, plus celebrity guests.